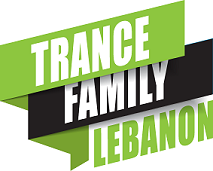 Vince Aoun started his professional music career in 2010 by airing his EDM Radio Show “Catalepsy” on MusicRadio.com (Malta). The show takes the format of a 1 hour mix in which both promotional & commercially released music is played. After the 50th episode, “Catalepsy” became the current weekly radio show on ClubbingStation.com (France), broadcasting every Sunday at 9PM Beirut Time. Previous guests on “Catalepsy” included: W&W, Beat Service, Yuri Kane, & Ronski Speed. In 2011, Vince had been the resident DJ at Livic’s Bar – Kaslik, & performed live at many other events since then. As for internationally, he has been signed to labels like Future Focus, Fraction, D.Max, Sorcery; getting the support of names like Paul Oakenfold, Judge Jules, Paul Van Dyk, Dash Berlin, Orjan Nilsen, Giuseppe Ottaviani, & more. You can define Vince as wild, mad, a revolt to reality, & a mastermind. He doesn’t follow anyone’s rules, but creates his own. He wants to spread the passion he has for music like a virus among the people. Vince Aoun might seem much crazy to you now, but those who are, to an extent they think they can change the world, are the ones who do.